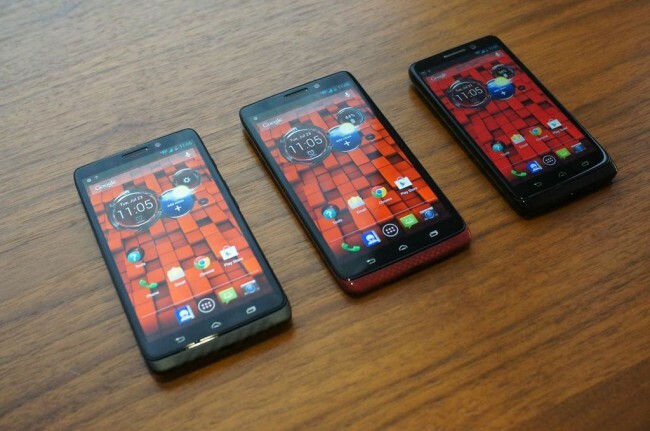 We now have the newest members of the Motorola DROID brand. Verizon announced the DROID Mini, DROID ULTRA and DROID MAXX today in one of the shortest press conferences we have ever seen. The 4.3″ DROID Mini features the same dual-core Snapdragon S4 Pro processor and Motorola X8 Computing System found in the ULTRA and MAXX, but only costs $99 on-contract. The 5″ 720p DROID ULTRA is the thinnest of the bunch, coming in at only 7.18mm thick and costs $199 on-contract. Then there is the 5″ DROID MAXX with a whopping 48 hour battery life and an OLED screen that you can also find in the Ultra. The MAXX will hit Verizon for $299 on-contract, along with the rest of the DROIDS, on August 20. Verizon lists all these phones as launching with Android 4.2 and wireless charging capabilities out of the box. So that leads us to today’s poll – will you be buying one of the new DROIDs? If rumors are correct, the Moto X is coming just around the corner for $300 off-contract. Do these look enticing in any way? Are You Buying One of the New DROIDs? No, not interested in any of them.